The very sphisticated color palette and intricate pattern of this rug are created using digital print technology on a durable Raschel fabric. 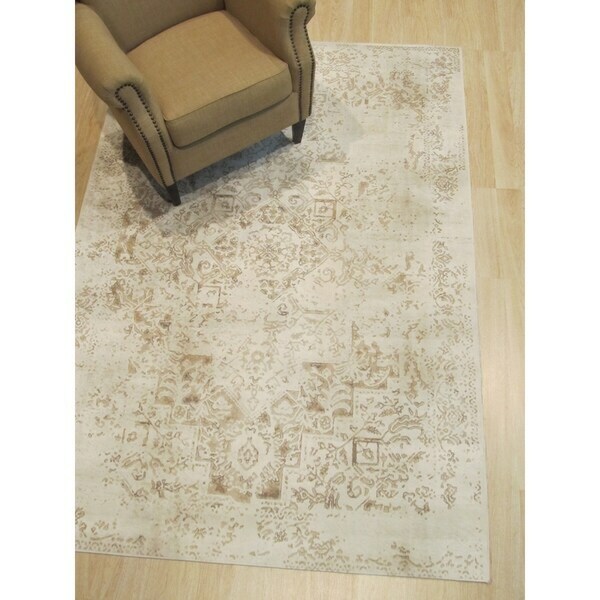 This is a sleek and thin rug with a faux leather backing. Special coloring to create a distressed appearance and Bohimian style. Power loom construction. Rashel fabric with no shedding and faux-leather backing. A stunning array of colors create a beautiful pattern. Sleek and thin pile, 0.2 inches. Cashlon Microfiber Mason Vine accent rug by Bacova - 2'3" x 3'9"